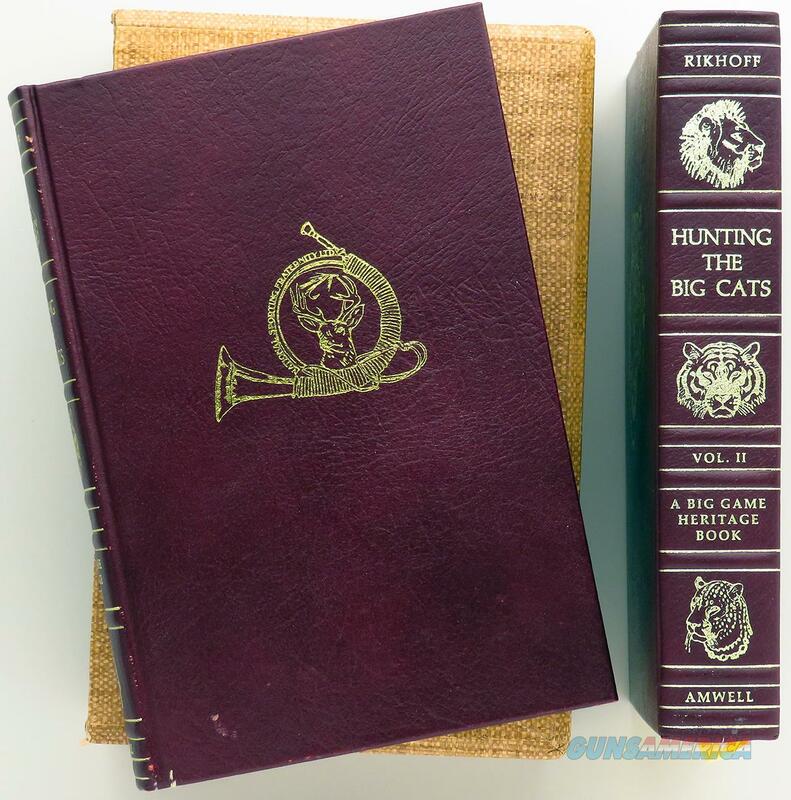 Description: Hunting the Big Cats Volumes I & II. Published by Amwell Press in 1981 and easily one of the most popular of their efforts, this 900+ page anthology is a tremendous collection of some of the best cat stories ever written. Bound in leather with gilded ends and a marker ribbon, it also includes a double slip. Condition is overall very good to near-excellent, with a slight tear at the top of the spine of VI (common to Amwell sets as the slips are very tight) and a few edge rubs. The price is firm and an additional photo is available by request (include direct email address).